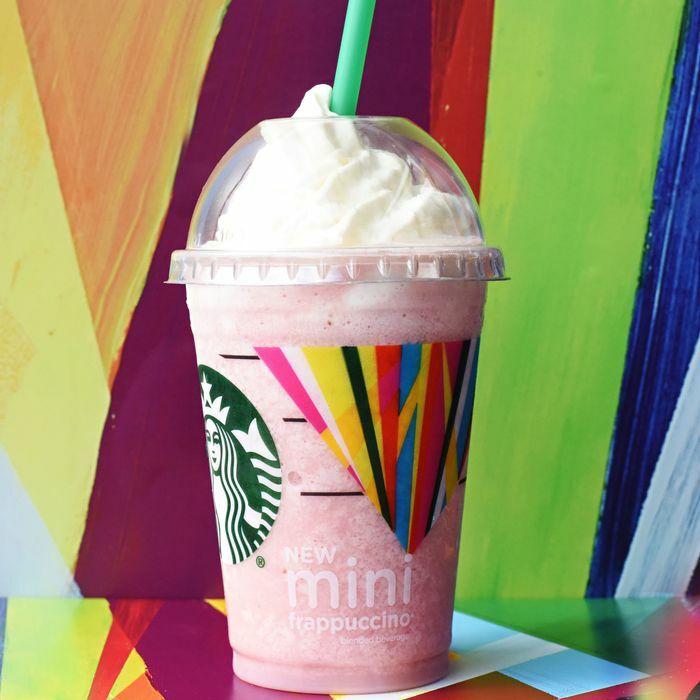 The Mini Frappuccino went through a hush-hush testing phase last summer and fall, and it must have been a hit, because Starbucks has announced that it’s available nationwide today through June 6. While it doesn’t look like customers can order junior-size lattes or cold brews, any Frap can now be made tinier. Perhaps the smaller size is meant to appease parents, or serve as a healthier portion, but as Grub has pointed out, it doesn’t make just tons of sense. A tall Starbucks drink is 12 ounces, making the 10-ounce Mini only a couple of sips away. Either way, get ready for Seinfeld-ian Man Hands to start popping up in Frap-clutching Instagram photos this summer.